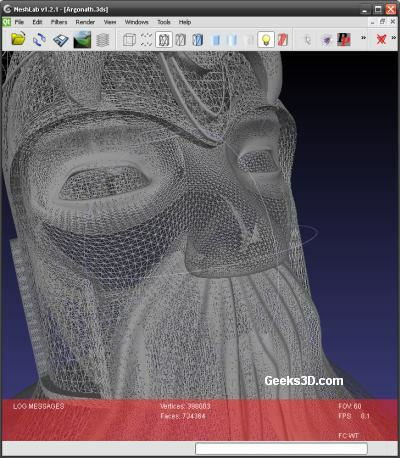 MeshLab is an open source system for the processing and editing of unstructured 3D triangular meshes (typical 3D scanning meshes). But of course it works also with regular 3D meshes (3DS, OBJ, …)! 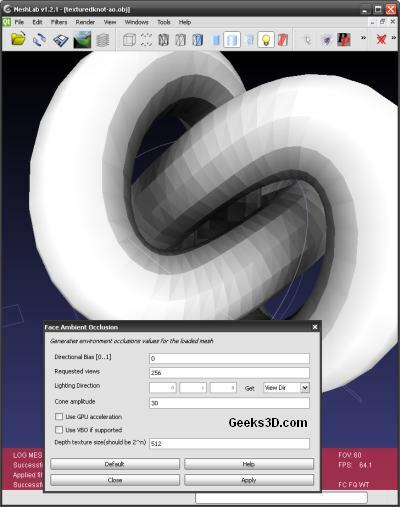 MeshLab provides a set of tools for editing, cleaning, healing, inspecting, rendering and converting 3D meshes. MeshLab is available for Windows, Linux and MacOS (Intel only). MeshLab uses the OpenGL API to exploit hardware acceleration. Details about version 1.2.1 can be found HERE. It does not seem to be a crash. 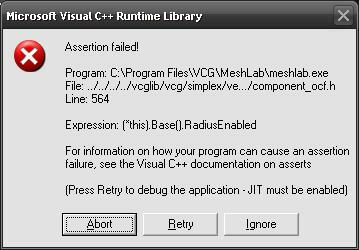 Assertions can be ignored and shouldn’t be present in the Release version (as far as Visual C++ is concerned).